Munich - FC Bayern München may not have skipped a beat in picking up where they left off last year, but for one member of their star-stacked ensemble, January is not likely to be a month they will want to remember. As if the news of Robert Lewandowski’s impending arrival at the club were not enough, Mario Mandzukic was left out of the squad for Matchday 18’s curtain-raiser against Borussia Mönchengladbach and only appeared as a second-half substitute against VfB Stuttgart a few days later. Yet against Eintracht Frankfurt on Sunday the Croatia international delivered an emphatic response to those who questioned whether he still has more than a peripheral place in Pep Guardiola’s plans with a commanding performance in Bayern’s 5-0 win. Mandzukic’s pinpoint pass to the in-form Mario Götze opened the floodgates for the hosts at the Allianz Arena, and the 27-year-old target man was also involved in goal number four - Alexander Madlung only succeeding in diverting his goal-bound header into the path of Franck Ribery, who confidently stroked the ball home. It was Mandzukic himself who provided the cherry on the proverbial iced cake a minute from time, and few would argue he deserved his place on the scoresheet following an exemplary display which proved a point, not only to coach Guardiola, but also to sporting director Matthias Sammer, who had recently challenged the striker to raise his game following his omission in Gladbach. Sammer’s words appear to have had the desired effect: A thirty-minute cameo at the Mercedes-Benz Arena on Wednesday was swiftly followed by a return to the Bayern starting line-up against Frankfurt, and Mandzukic grasped the opportunity with both hands, to the delight of the former Germany international: “He gave a brilliant reaction and performed fantastically today,” Sammer said after the game. Indeed, Guardiola was adamant that Bayern’s victory over Armin Veh’s side was their “best game of the season so far”. Though attributing that to Mandzukic alone would do a disservice to the likes of Götze and the returning Ribery, the striker’s display won’t have gone unnoticed on the former FC Barcelona coach, who has been highly impressed with the him this season. “I’ve never seen a striker like that in all my life. 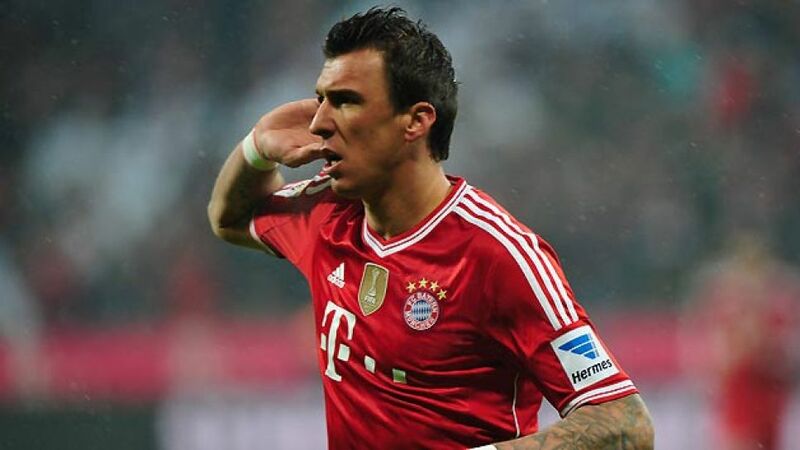 I love Mandzukic,” said the 43-year-old in October last year. A short trip up the A9 motorway to a rejuvenated 1. FC Nürnberg awaits Bayern on Matchday 20. It remains to be seen if Guardiola keeps faith in Mandzukic for the encounter at the Grundig Stadion, but if he maintains the level of performance he showed against Frankfurt, there aren’t many players capable of leading the line as well as the 1.87-metre man - not even Robert Lewandowski.